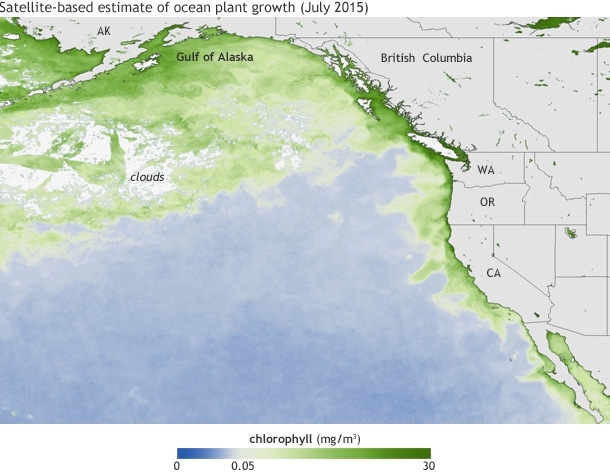 A toxic algae bloom that began off the West Coast this spring now stretches from California to Alaska. It’s poisoning marine life from shellfish to sardines to sea lions, and scientists say it’s one of the worst they’ve seen. Odell says he’s seen a lot of toxic blooms, but this one’s different, partly because it consists of several species of harmful algae. The algae are thriving in unusually warm waters—in fact, abnormally warm water that scientists are calling “the Blob.” The algae bloom itself is an estimated 40 miles wide and, in some places, could reach a depth of more than two football fields, according to sonar readings. 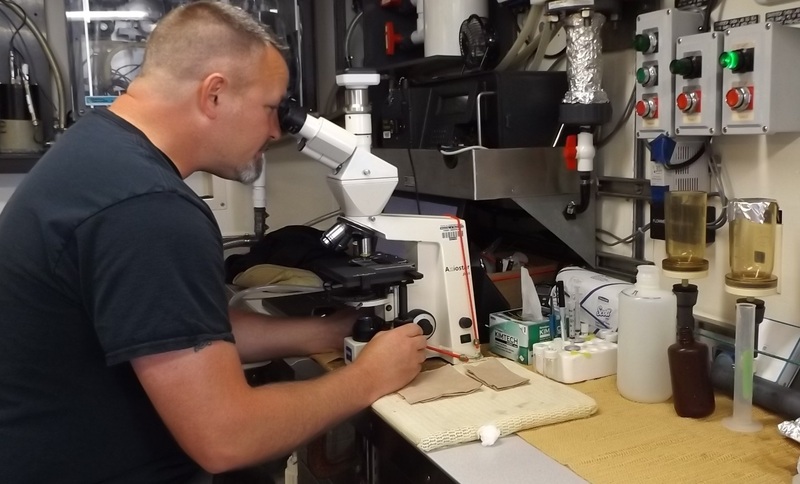 Scientists have been able to verify the presence of the algae bloom down to 45 feet by testing the water. One of the toxins the algae are producing is domoic acid. It’s a neurotoxin that doesn’t have negative effects on shellfish and fish. 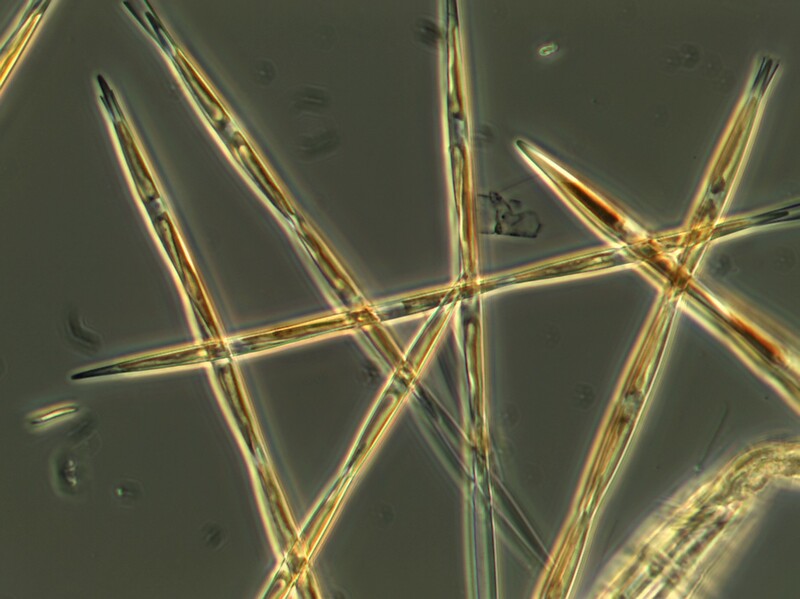 But it can kill other marine life because the micro algae—or phytoplankton—are the base of the food web. Domoic acid can also poison humans, causing nausea and dizziness, or in worse cases, permanent short-term memory loss, and even death. That’s why fishery managers have shut down some crab fisheries in Oregon and Washington, and severely restricted fishery markets from California’s central coast. So far, there’s little sign the algae bloom is going to slow down and give sea life a break. Although the unusually warm ocean water is one suspect, scientists still don’t know for sure the cause of the algae bloom. Odell says they’re researching whether climate change is contributing.